This past summer, I took it upon myself to embark on one of the biggest DIY projects I've ever done and while it was extremely rewarding in the end (resulting in my ultimate dream studio), I underestimated the amount of time, work, and tools that were required for the job. And, having done it all without any help, I now know the value in asking a friend for a hand. 1. 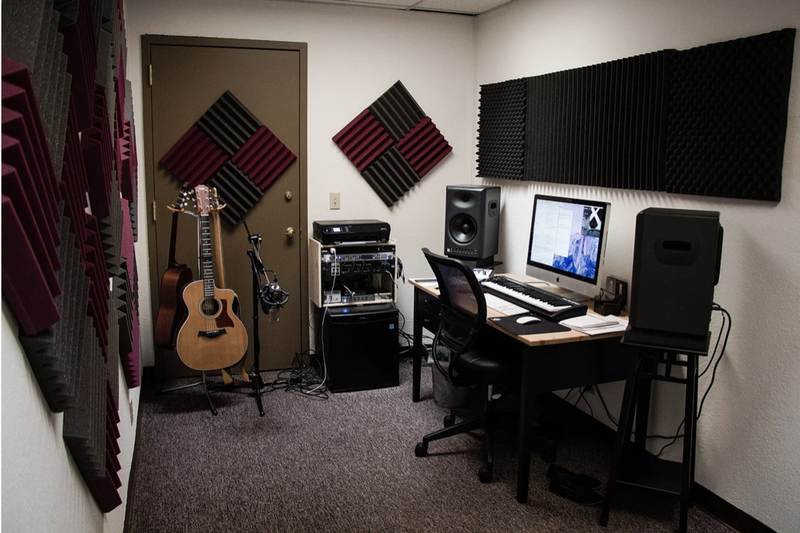 Is saving money worth the time spent in building my studio? 2. Am I able to sacrifice my music workspace for at least a month? 3. Can I risk my music related projects & income during construction? 4. Can I rely on anyone to help me? safety precautions in working with fiberglass materials? 6. If not, do I have the time required to research and learn the basics? 7. Do I have at least one drill gun and a set of basic tools? 8. Am I willing to spend 12-14 hours a day in construction? Note: If you find the right handyman/woman, they can most likely get this all done in a weekend with their enlisted help (that they will bill you for). Most studio spaces are no more than a small room so, with the right help, tools, and plan, it shouldn't be terribly time consuming to execute. Verdict: If your time is worth more than saving a few thousand dollars right now, it would be worth it to you to spend the extra $ and hire a team to do this for you. It sounds like you're pretty handy and would most likely enjoy this project. You'll want to consider the shape of your room for planning how many acoustic panels you'll make. In my case, I had a rectangular room so, I set up my listening station very much like the diagram below, except I added bass traps in each corner and panels behind the sound source. Altogether, I built 4 bass traps and 18 acoustic panels. Check out Part 2 where I go over all the tools and materials you'll need to build your dream studio!